San Diego punk band Wavves has always had a restless sound. From the lo-fi vibe of their debut album, Wavves (and its confusingly titled sequel, Wavvves) to the more muscular surf-punk feel of albums like Afraid of Heights and Life Sux, Wavves has proven adept at welding together drastically different sounds in a way that’s remained recognizably theirs. “The Lung,” coming hot on the heels of the band’s newest LP, You’re Welcome, demonstrates this finesse masterfully. The track is a sparse one, dominated by an uncharacteristically restrained drumbeat and droning, ominous bass notes. Fans of Wavves’ earlier albums might find this familiar; songs like “Weed Demon,” “Dog,” and “So Bored” all demonstrate a similar sort of sonic economy, but “The Lung” combines it with a cleanness and production level straight out of their more recent work. I’ll admit, as a fan of the riotousness of albums like Afraid of Heights and Life Sux, I was originally disappointed by the cleanliness of the song’s production, but under the spacey synth and gentler vocals, Wavves’ distinctive sound is still present. The song’s third verse serves as a wonderful counterpoint to the composure of the rest of the piece, with frontman Nathan Williams’ signature doubled-sneering and jagged shredding breaking through once again. 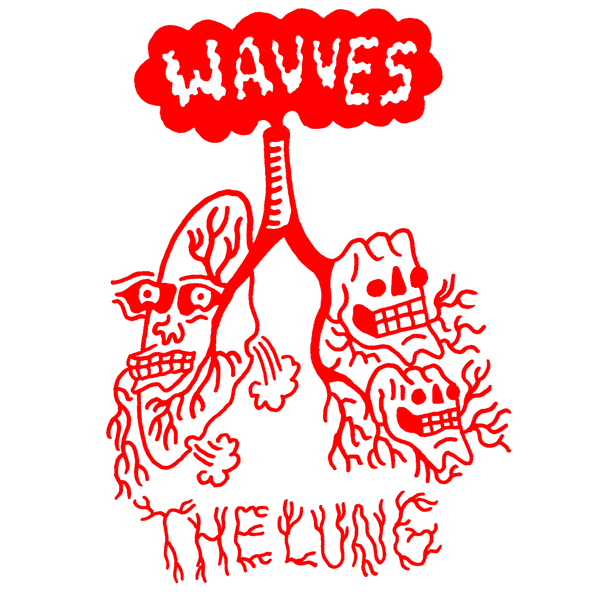 Even the track’s title references the “breath” motif present in songs across Wavves’ discography, from “My Head Hurts” to “Nine is God.” Overall, “The Lung” maintains the new direction found in You’re Welcome while taking pains not to abandon the feel of their earlier work. Whether you’re a fan of Wavves’ dreamier sound or you long for a return to the unrestrained vigor of “Hippies is Punks,” “The Lung” offers something of interest to anyone.